Blockchain is the new buzz word and is generating a lot of excitement around financial industries. However, the blockchain has a number of other very useful applications not necessarily targeted at the exchange of money. The most well known blockchain implementation is Bitcoin. Bitcoin uses the blockchain as a giant, decentralized ledger of financial transactions. The distributed nature of Bitcoin means that everyone has access to the blockchain and anyone can store a copy on their local computer if they wish. The validity of transactions on the blockchain are managed by various 3rd parties called miners. Miners verify transactions and package them into blocks which are then appended to existing blocks on the chain. Recently a number of development projects have introduced blockchains which are used for the persistence of other types of information not necessarily associated with financial transactions. 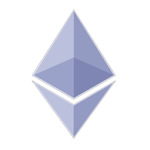 One of these is Ethereum, which stores a set of binding rules known as smart contracts, is probably one of the best known alternative applications of the blockchain, although much of what drives Ethereum is economically-based. However, there are now a number of developers who are working on blockchain-based decentralized applications which are not driven by financial transactions. Some of these include the Interplanetary File System, or IPFS, which uses the blockchain as a decentralized file storage mechanism and XChat, which is exploring the use of the blockchain for messaging. Other implementations could include user authentication, license management and data identity. Distributed file store; incorruptible, indestructible assets, distributed globally. Blockchain technology has the ability to make information decentralized and universally accessible. The blockchain provides real solutions to many of the problems associated with many educational and academic material truly open access. At KnowledgeArc we are invested in improving access to information, using the blockchain to ensure data is distributed and verified. You can find out more about KnowledgeArc’s blockchain technology via our dedicated blockchain page.